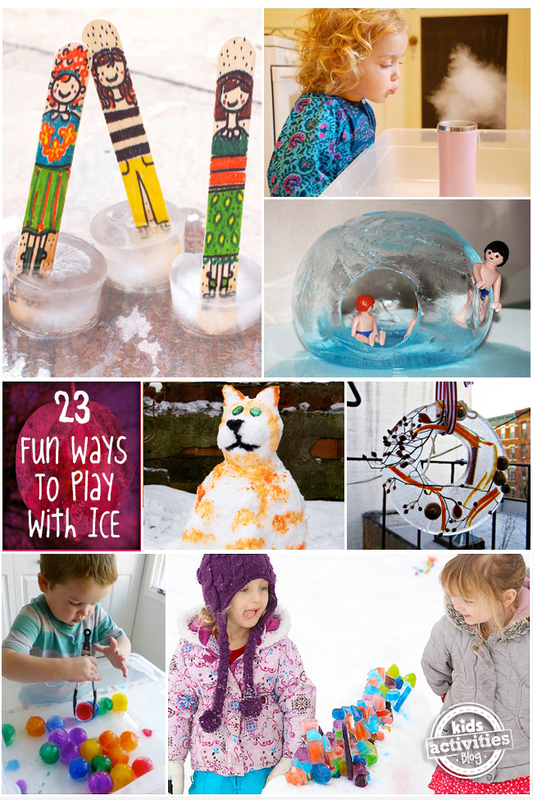 You are here: Home / Fun Activities For Kids (By Age) / Activities For Elementary School Kids / 23 Ice Crafts, Activities & DIY Decorations For Winter Fun. Cool! From colorful melting ice experiments, to frozen ice castles, ice caves and pretty ice sun catchers for your garden, we have ooodles of ice crafts inspiration to take you right through the winter months. 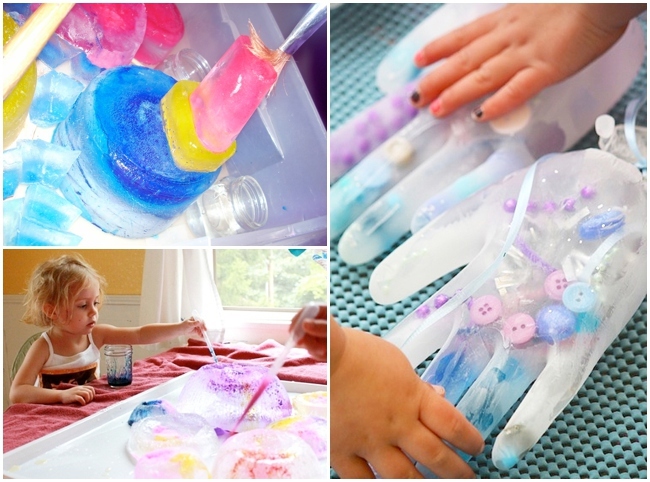 Use your freezer to create if the temperatures aren’t cold enough outside! Popsicle Stick Dolls “ that Ice-Skate! 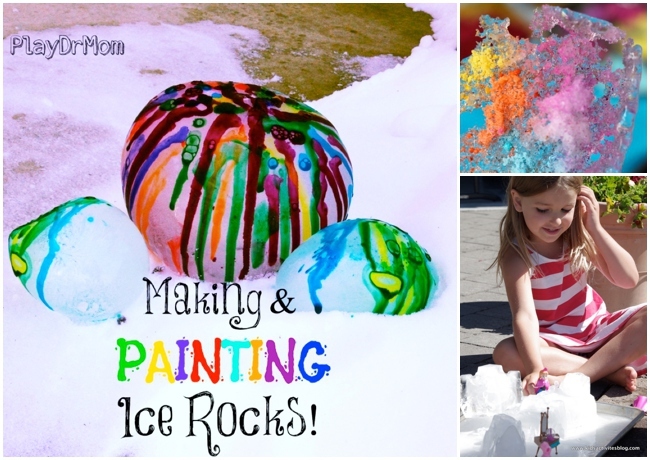 This winter build some colored ice sculptures in the snow – the best outdoor fun. Water + Glitter + Disposable Cups = peaceful and elegant string of nature candles to light up your drive or patio. The Illusion of Hot Ice! 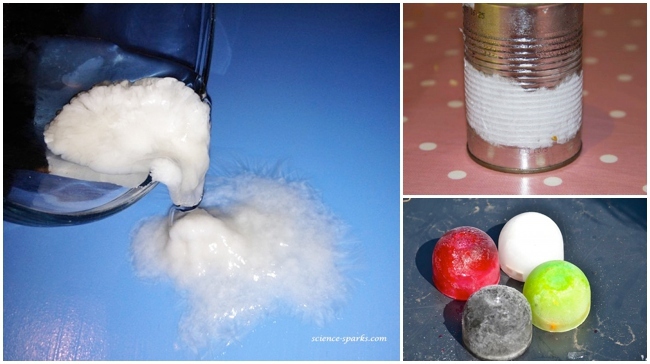 Fizzy Frozen Baking Soda Ice Cubes! For more magical activities please like our Facebook page! !